Goodreads says, "Abby Barnes had a plan. Get into a great college, major in journalism, and land her dream job at a major newspaper. But on the eve of her 18th birthday, she's stuck on a Hollywood movie set instead, wishing she could rewind her life. But the next morning, she’s in a dorm room at Yale, with no memory of how she got there. A collision of parallel worlds has left Abby living a new reality every time her younger parallel self makes a new decision. Forced to live out the consequences of a path she didn't choose, Abby must let go on her plans for the future and learn to focus on the present, without losing sight of who she is, the boy who might just be her soul mate, and the destiny that’s finally in reach." I love this premise and the idea of parallel worlds. It kind of reminds me of the movie Sliding Doors. What do you guys think? I read and reviewed this book last week and I agree--it put me very much in mind of Sliding Doors, but less linear. It's a fun read. Oh, really? I will have to check out your review. Thanks for letting me know and thanks for visiting! That's what I hear, which is good b/c I love the concept! Thanks for visiting, Sara! I know, right?! That's exactly what I was thinking after I read the blurb. Thanks for visiting, Maria! Oh yes Christina, I'm waiting on this one too! 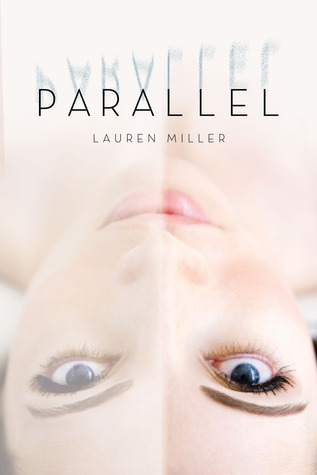 Parallel worlds seem to be the new YA trend of late, but I don't mind at all because I find that premise super interesting. So excited for May! That's what I am hearing! I really like the concept as well. Thanks for dropping by, Jenny! Me too! I hear that there are a lot of books coming out that focus on parallel worlds, so I hope they don't disappoint. Thanks for visiting, Christa! Me too. You should definitely rent Sliding Doors- a pretty good movie with an interesting premise. Thanks for dropping by, Lea! I'm really curious about this one. It sounds really interesting and original. I haven't read any books on parallel world yet. Great pick! It sounds unique, but from what I hear there are a lot of books coming out with parallel worlds being a focus. We shall see! Thanks for visiting! I've never seen Sliding Doors, but I think that this book sounds really cool! Great pick and neat cover. Have fun reading! I loved Sliding Doors! I watched that movie with my friends when we were in college. This book certainly sounds interesting. I like that it is set at college too. Good pick! I LOVED Sliding Doors too. One of my favorites for ages. I can't wait for you to review it. Oh my gosh! That sounds so awesome! I've never seen Sliding Doors, though. Not even heard about it. Guess I'll have to watch it. I excited for all the parallel world themed books coming out this year! This one does remind me of Sliding Doors a bit. It's unique that one world effects the other, though! Very interesting! I was lucky enough to snag a copy of this on Edelweiss, and I have to say it sounds like really good fun! Looking forward to reading it!